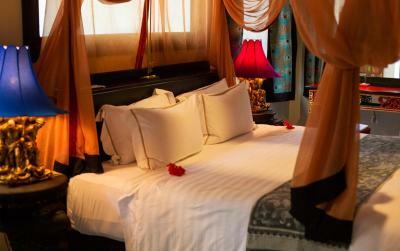 Lock in a great price for Hotel Tugu Lombok - rated 9.5 by recent guests. 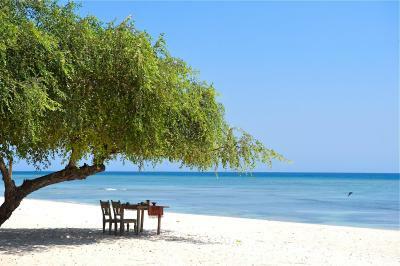 A great location for privacy and quiet and a short boat trip over to the Gili Islands for more action. Everything about the resort was well done. 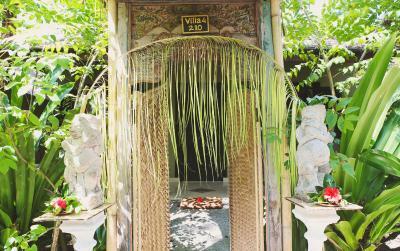 The decor was amazing, and the rooms were beautiful. The food was outstanding, and the staff so attentive. The drive from the airport was 1.5h, but it was worth it. A golf course right next door. A great relaxing weekend. The location was fabulous. The hotel accommodation and general areas were unique and stunningly beautiful. The staff were absolutely fabulous and charming always. The hotel management were very helpful in sorting out our accommodation immediately when the air conditioning was found to be faulty. The hotel boat trip was personalised and highly professional. A wonderful day out. 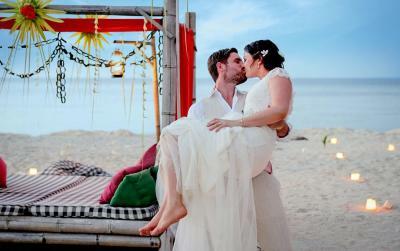 The beach was secure and safe and immaculately clean with hotel staff constantly available. 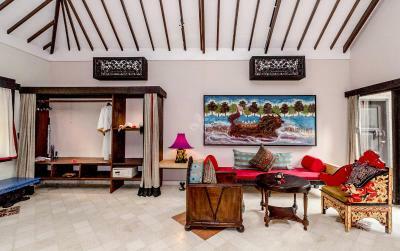 Superb location on Siri beach, with historic artefacts from around Indonesia adding grace, romance and charm. 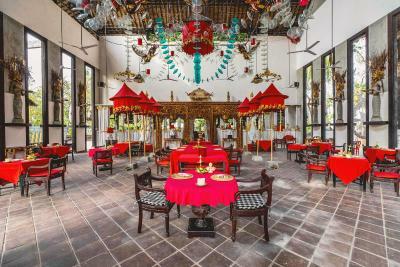 Amazing royal tugudom experience, set in a temple with a tableau to accompany a magnificent dinner, an intimate dinner half way up a towering monument, and dragon boat ride into the sunset. Such beautiful friendly people with ready smiles. The rooms great, pools fantastic, beach excellent, and the service second to none - rooms made ready for the night, not to mention the park was superb. Afternoon tea on the beach and The breakfast, what a feast. Thinking back, everything was fantastic and amazing. 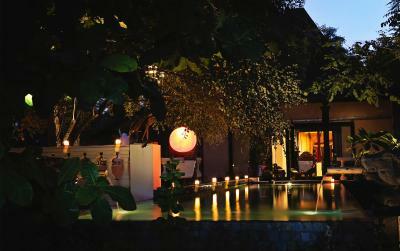 totally exceed my expection and the SPA treatment was exceptional! 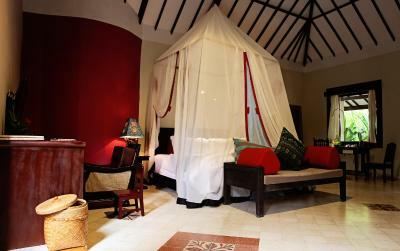 Super quiet relaxed atmosphere Spacious An idyllic location The best ! I liked everything about this place, just beautiful! 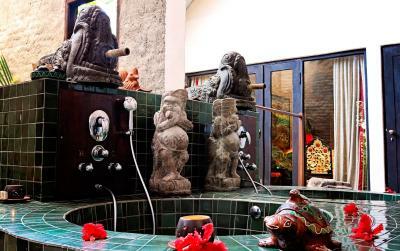 Great staff, great food, great spa area! 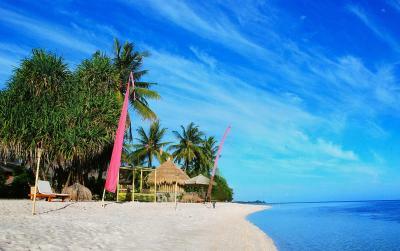 Make sure you do the snorkeling trip to the Gili islands! The beds were very comfortable, so much so, it was a challenge to get up in the morning...... 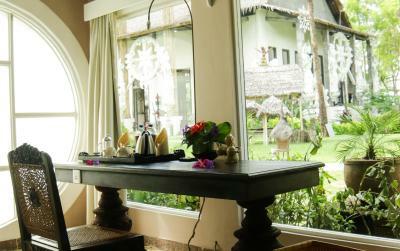 The staff made our stay unforgettable, made us feel important & special. They went out of their way to organize special breakfast & dinner arrangements on the beach & various areas in the grounds of the hotel. 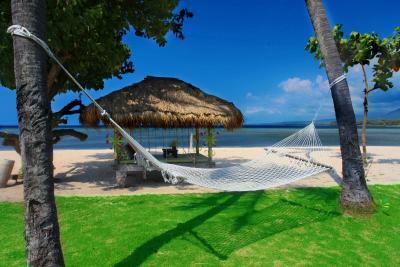 The hotel was peaceful & very quiet, the pools were clean & pleasantly close to the spended white sandy beach. 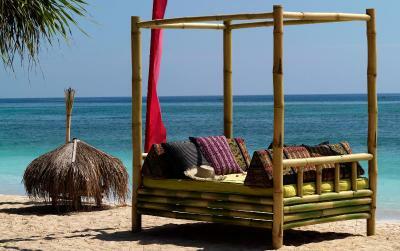 Located on Sire Beach, Hotel Tugu Lombok offers spacious rooms with private balconies. 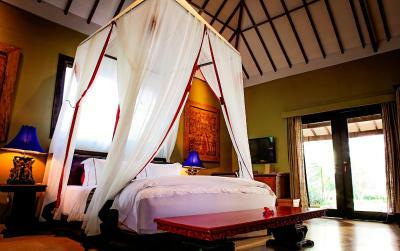 Overlooking the ocean and Mount Rinjani, it features a fitness centre, 2 pools and free Wi-Fi. 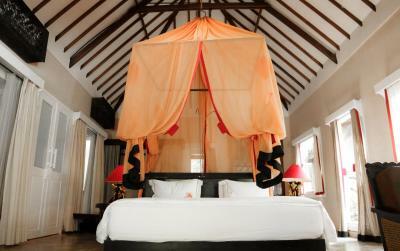 Hotel Tugu Lombok is situated next to an 18-hole golf course, green fields and palm plantations. 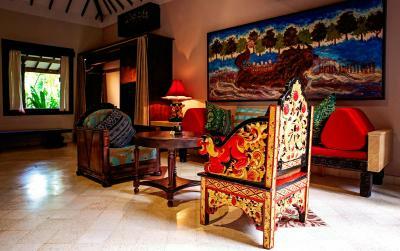 The property boasts traditional decoration and artworks collection throughout. 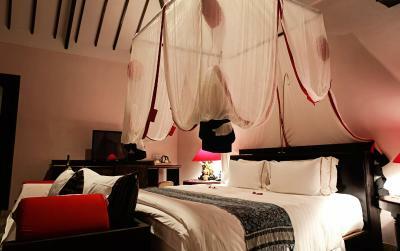 Rooms at Tugu Lombok are furnished with a flat-screen TV, DVD player and minibar. The spacious bathroom features a bathtub and rain shower. 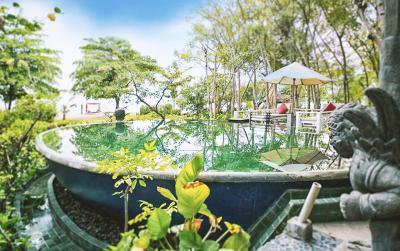 Guests can relax at the spa or take a swim in the freshwater swimming pool. 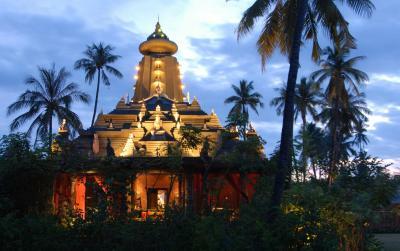 Daily and cultural activities can be arranged at an additional charge. 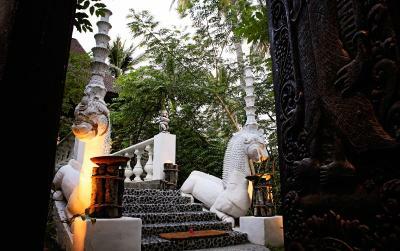 Tugu Lombok offers a unique dining concept for guests. 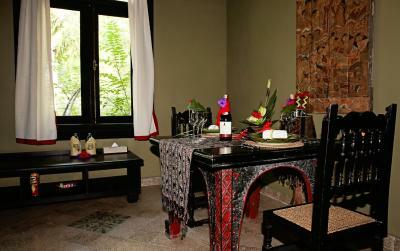 Guests are offered a variety of dining themes to choose from. 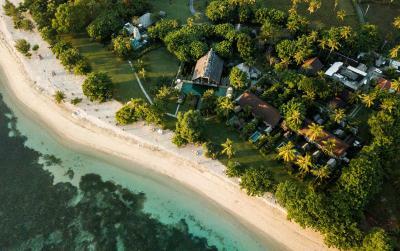 Guests can dine anywhere - in the gardens, at a private hut or even on the beach. 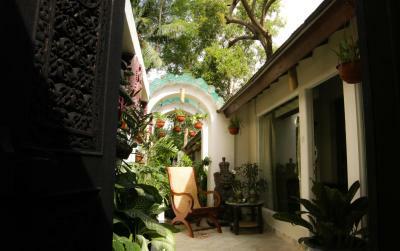 This property also has one of the best-rated locations in Tanjung! Guests are happier about it compared to other properties in the area. This property is also rated for the best value in Tanjung! Guests are getting more for their money when compared to other properties in this city. 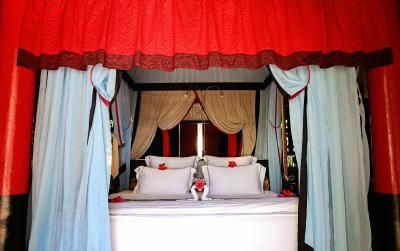 Hotel Tugu Lombok has been welcoming Booking.com guests since 11 Aug 2010. 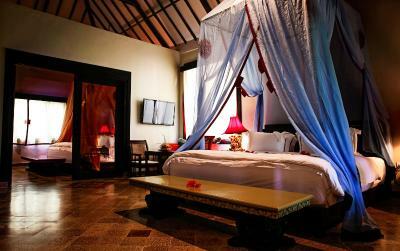 When would you like to stay at Hotel Tugu Lombok? 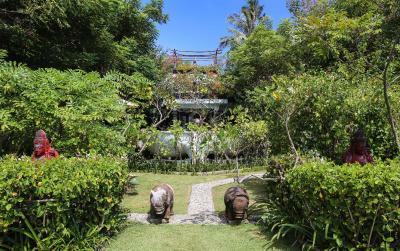 This spacious and air-conditioned one-bedroom villa is surrounded by lush tropical garden and features its own terrace, outdoor dining area, a minibar, and a large flat-screen TV. 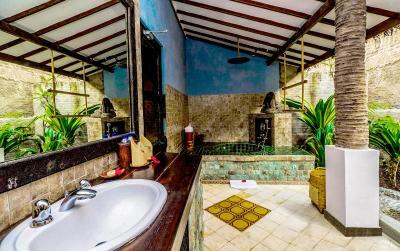 The semi-open en suite bathroom has bath and shower facility. 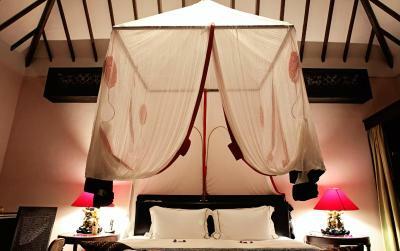 Fresh towels and linen are also provided in the room. 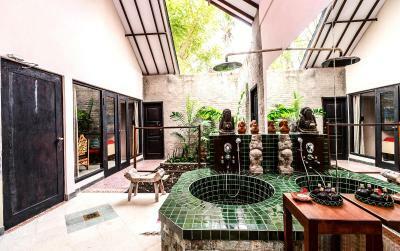 Featuring colourful Peranakan decor, this air-conditioned bungalow comes with a flat-screen satellite TV, seating area with sofa, DVD player, a minibar, and an en suite bathroom with shower facility and hairdryer. 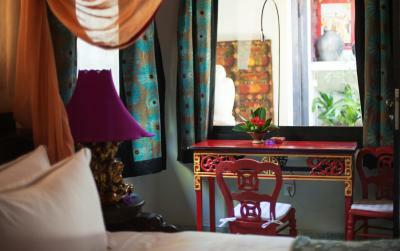 This suite features a balcony, DVD player and dining area. This bungalow has a tile/marble floor, air conditioning and bathrobe. 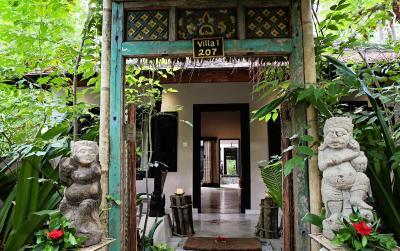 This villa features a patio, DVD player and minibar. This villa has a tumble dryer, private entrance and electric kettle. This suite features a balcony, CD player and bathrobe. This suite has a satellite TV, air conditioning and CD player. 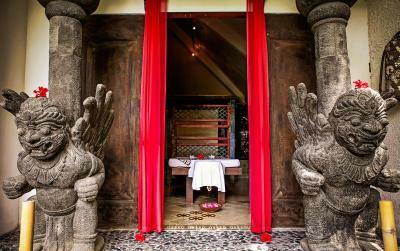 House rules Hotel Tugu Lombok takes special requests - add in the next step! 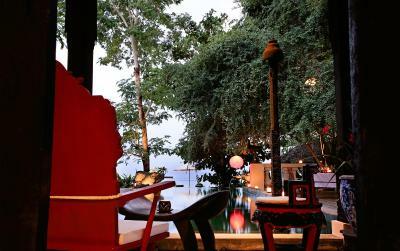 Hotel Tugu Lombok accepts these cards and reserves the right to temporarily hold an amount prior to arrival. 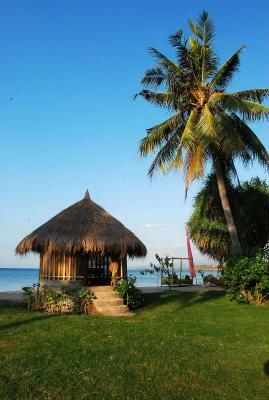 Friendly staff, beautiful premises, great beach! The speed of food coming from the kitchens to the restaurants was often slow. This place is like heaven on heart ! We loved literally everything : the environment is absolutely stunning , the staff is incredibly efficient (aware of everything we were doing and so pro active in helping whenever we had some needs ), pleasant and so dedicated to their customers!!! 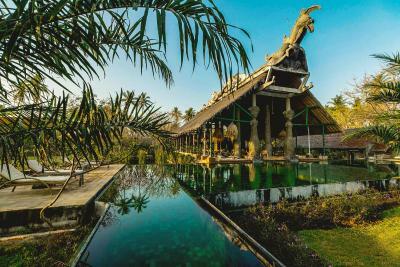 The concept of the resort is very interesting , as this is an historical site and the owner decorate it with his private collection of Indonesian art handcraft , we were walking around the site and visiting it as a museum ! 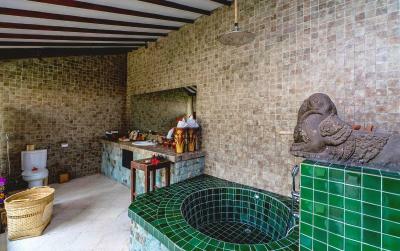 Of course all the services are of an extremely high quality, from the massages to the activities (I suggest the cooking class with market visit and the moonlight dinner/massage package ). 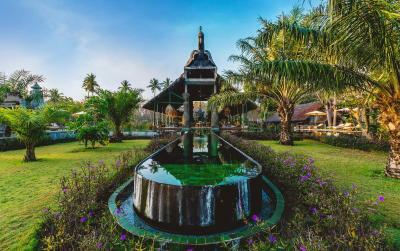 The beautiful pristine beach with local fisherman’s and the stunning nature surrounding the resort together with the decoration gives a dreamy atmosphere to this place. On top of everything we really appreciated the sustainable tourism mindset, with a local staff , the clear ecological behavior but also the free English class for the kids of the village. Drinks and food seem slightly overexpensive for Indonesia. Staff generally is friendly, sometimes a smile was missing adding awkwardness. Beautiful clean beach. Stunning bungalows, thought through architecture to impress. Good restaurant. 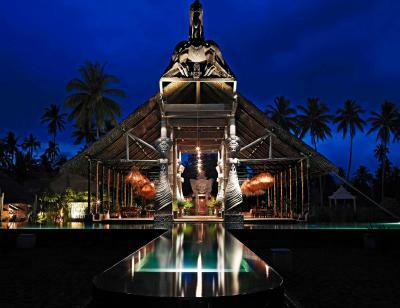 Beautiful and very special hotel, a combination of tradition, art and nature, perfect location, excellent service, delicious food with the possibility of consuming it right on the beach! 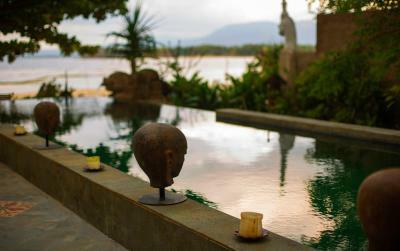 I certainly recommend this place if you are looking for a relaxing experience away from everything! It is value for money, however it is quite expensive esp as we ate all our meals there as there isn’t a town close by. Such a cool and interesting hotel with a few freebies. 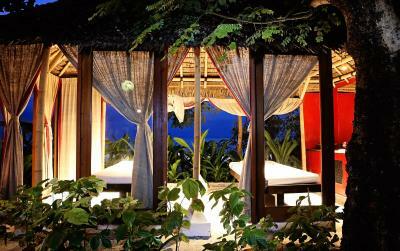 Awesome honeymoon place!